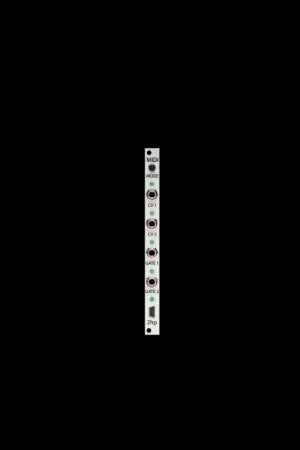 MIDI is a plug and play solution for interfacing with your computer or MIDI hardware. Four modes provide monophonic, duophonic, dual mono, and quad trigger operation. MIDI clock, CC messages, and note on messages are all easily accessible between the four modes. The status LED provides clear indication of MIDI data being received by the module. Class compliant MIDI device on Mac/PC/Linux. Get connected with MIDI.